When members of the Norwich Stake discovered that a mother and daughter team from Cambridge had set up a school within a refugee camp in Southern Bulgaria, about 20 minutes from the Turkish border, they were keen to help. 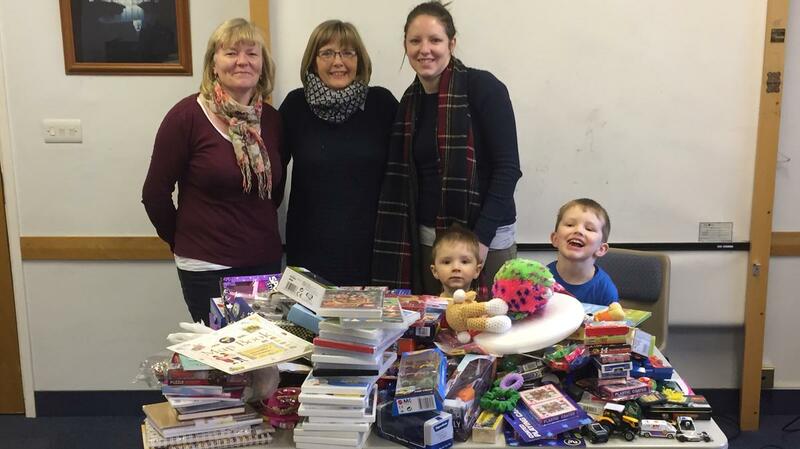 The church members from Norwich launched an appeal to generate supplies that the children would be able to use. After just two weeks a significant quantity of material had been donated. The donations weighed 107 kilos and they were subsequently packed into 18 boxes before being shipped to the Harmanli Refugee Play Camp in Bulgaria. Gil and Sadie Clasby used their previous experiences in child care and teaching to help the Syrian refugee children who had gone through a great deal of trauma and hardship by setting up the school. It provides children between the ages of 4 and 14 with a range of activities and lessons to develop maths, science, art and English skills, knowledge and understanding, as well as opportunities for personal, social and emotional development. The school is a centre for play-based learning and play therapy. When it opened in 2014, there was little sanitation, no heating and very little food. The project has been a great success and the school now accommodates up to 200 children at a time. As Bulgaria is a poor country, the school has relied on the generosity of people in countries across Europe.